All members, prospective members, and guests of the club, who wish to attend a meet are asked to contact the meet coordinator before the Wednesday prior to the meet. Any meet may be changed, postponed or even cancelled without notice if no-one seems to be interested. Non-members who wish to attend a meet should contact st.helensmc@gmail.com stating which meet they wish to attend together with their own details and contact telephone number. To find out location of the next walk phone Ken Fyles on Tuesdays on 01942 733380. 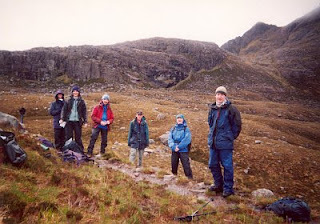 Meets normally include weekend meets at our own hut, or other clubs huts, camping meets for climbing or walking (usually in the Summer), extended meets in Scotland, the Alps, or other regions, and local evening rock climbing meets. The club also schedules Working Weekends for repairs and improvements to the Club Hut. St.Helens is conveniently situated close to the motorway network and is just one and a half hours drive from popular rock climbing venues in the Lake District, North Wales and the Peak District. 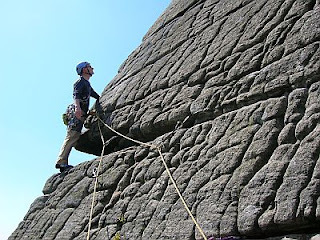 Cheshire sandstone (including Frodsham, Helsby and Pex Hill) and Lancashire grit (including Brownstones, Wilton and the Rivington quarries) are also close enough for an evening's climbing or a short winter's day. The members elect a committee who arrange the programme of meets for the year. Club meet details and venues are printed on the membership card issued to all members. The venues are a reflection of suggestions from the club members. In addition to the official meets, many members arrange their own informal meets most weekends. 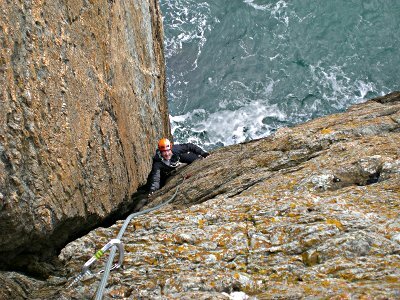 These are arranged by e-mail, in the pub or at the indoor climbing meet. If you are interested in coming along, just ask. Some meets are specifically designated as beginners' meets and the club arranges for the more experienced members to be available to supervise novices. If you are interested in joining the club and would like to attend one of the meets then please contact st.helensmc@gmail.com. New and prospective members are welcome to attend but please contact the Chairman(via e-mail to st.helensmc@gmail.com) to check that a meeting is planned and that somebody will be expecting you. Since we have a price concession on Monday evenings, our indoor climbing meet is at the North West Face climbing wall, in Warrington(on the A49 near Tesco), every Monday evening from 7pm onwards (except bank holidays and other seasonal holidays). 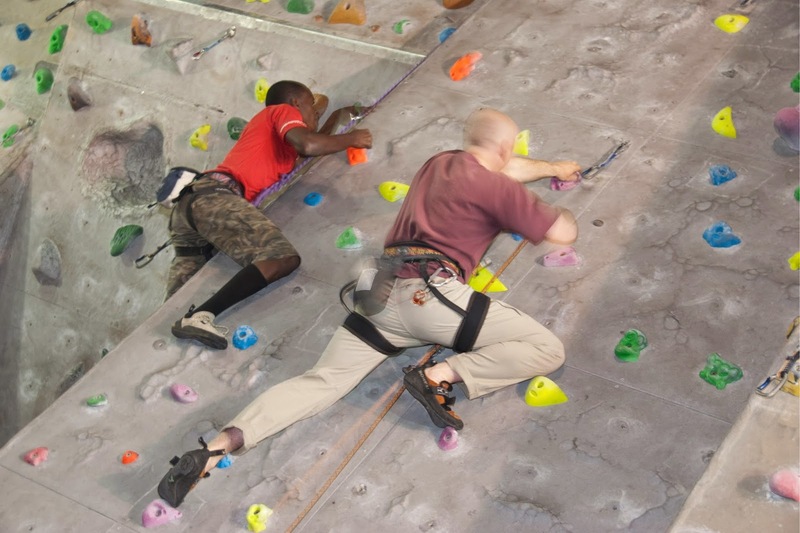 Attending this meet is the quickest and simplest way for prospective members to meet us and to have a go at climbing. This meet is not formally organised, just turn up and enquire at the reception desk at the North West Face and the staff will introduce you. The club also runs a series of rambles on the first Sunday of each month. These are usually around 8 to 12 miles and include a stop for a pub lunch. Past venues have included the Lancashire moors, the Pennines and even the Wirral.